The Grand at Papago Park Center offers exceptional access at a prime location in the Phoenix-Tempe metropolitan area. With almost one-half mile of freeway frontage on the Red Mountain 202 freeway, off-ramps at both the east (Center Parkway) and west (Priest Road) ends of the project, and the first light rail station from Sky Harbor Airport at its northerly boundary, The Grand is easily accessible from anywhere in the Valley. 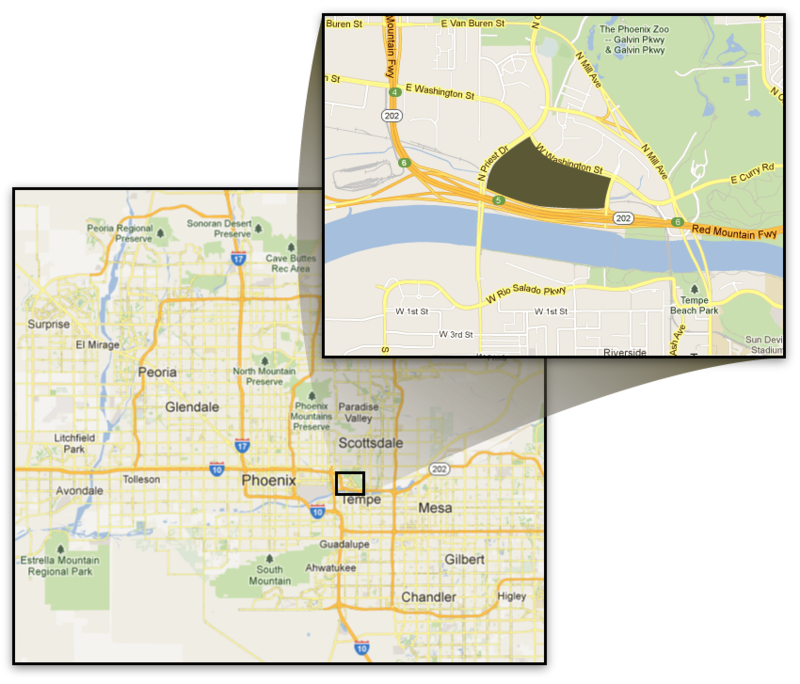 Further, Interstate 10, Loop 101, and the 51 Freeway are all within minutes of the site providing easy access to executive housing in Paradise Valley, Scottsdale, Tempe, and Chandler as well as employee housing throughout Metropolitan Phoenix. Arizona State University is just moments away using one of the two light rail stops within the project, providing easy access to a highly educated labor pool. The Grand would be a part of Papago Park Center, home to the corporate offices of Salt River Project and First Solar.